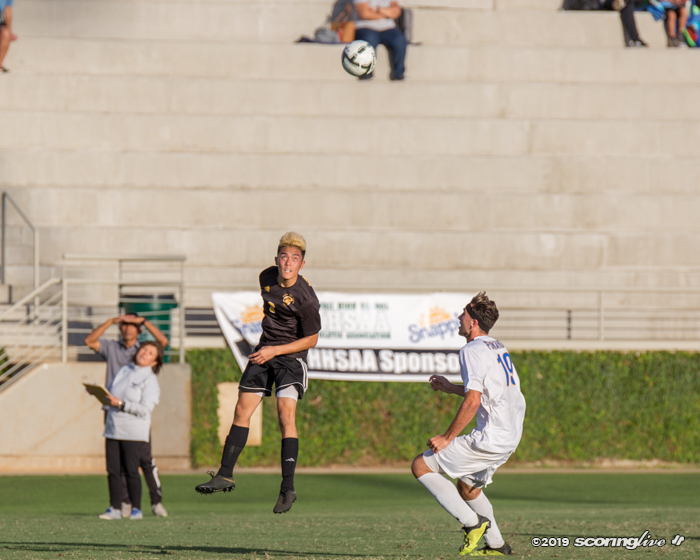 This one went a little longer than it should have. 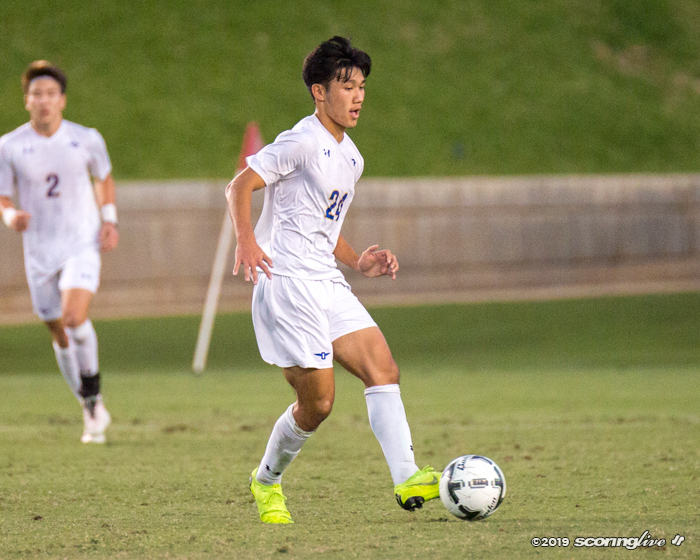 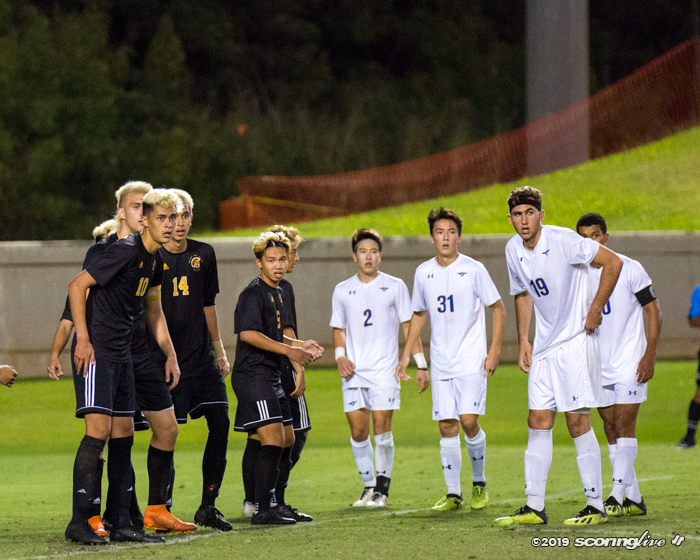 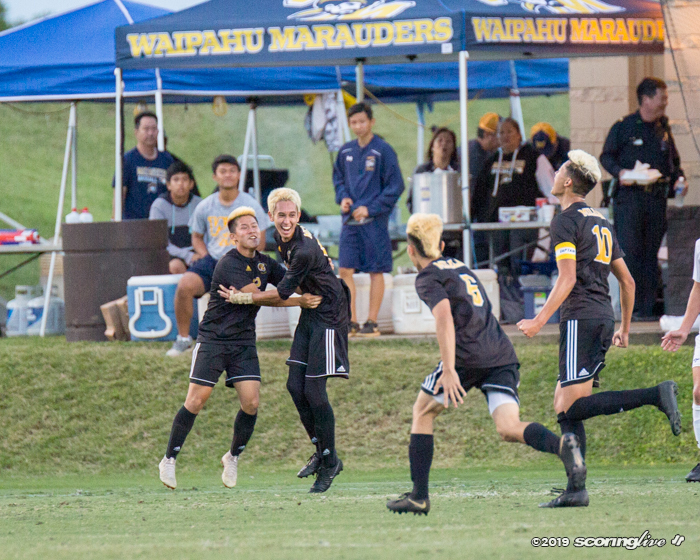 Punahou built a 2-0 halftime lead, then lost it, only to get the victory with a perfect performance in the penalty kick shootout as the Buffanblu defeated Mililani, 3-2, Friday night in the semifinals of the Queen's Medical Center Division I Boys Soccer Championships at Waipio Peninsula Soccer Stadium. 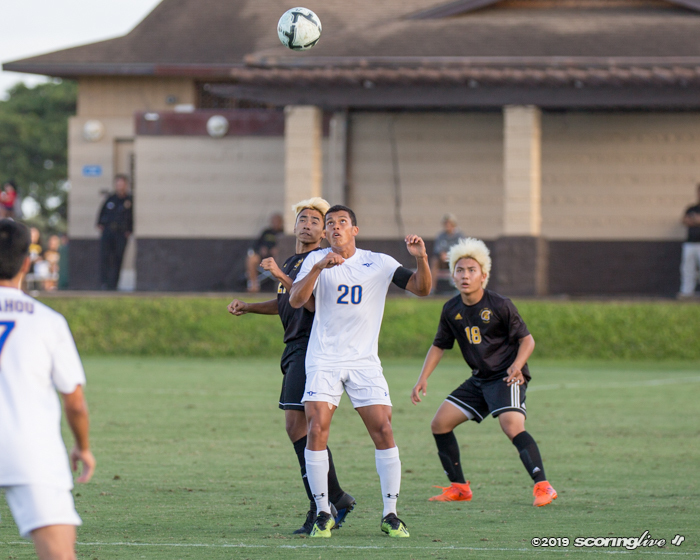 Dominic Gusman scored first for the Buffanblu when he received a nice pass from Kobi Saito in the ninth minute. 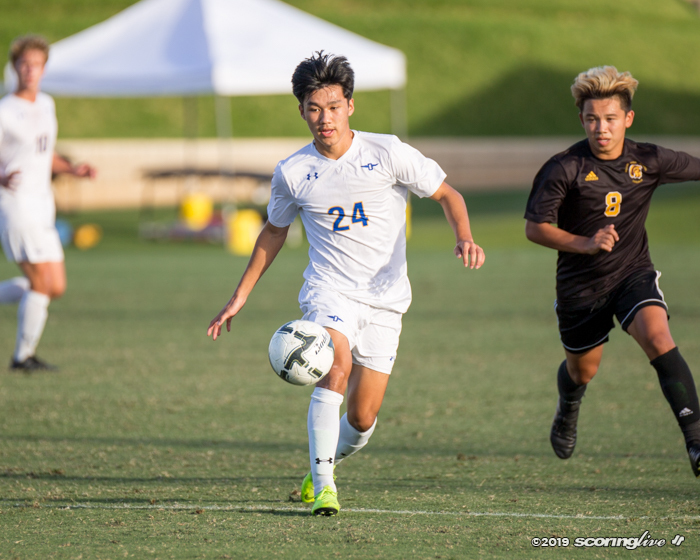 Johnnie Dodge added to Punahou's lead in the final minute of the first half. 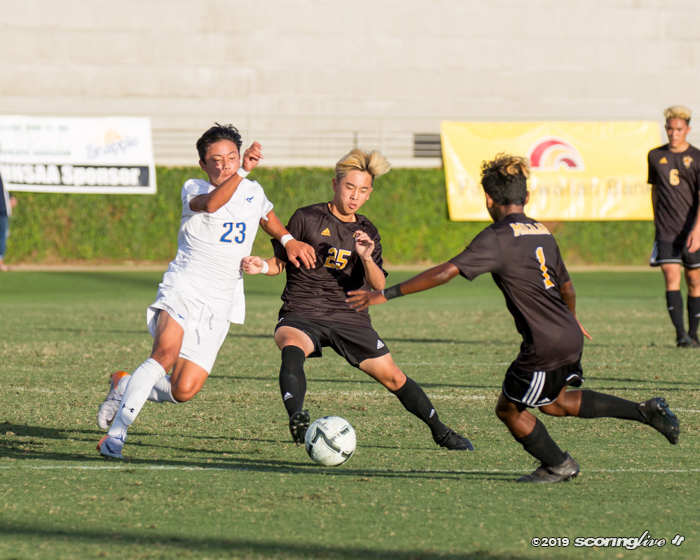 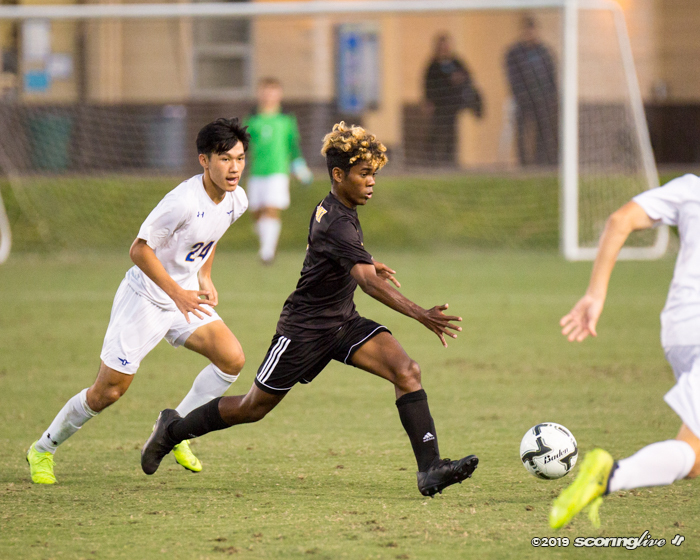 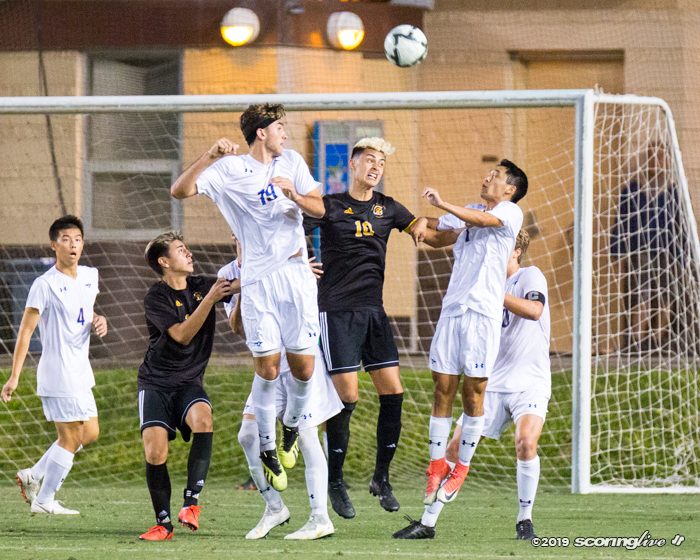 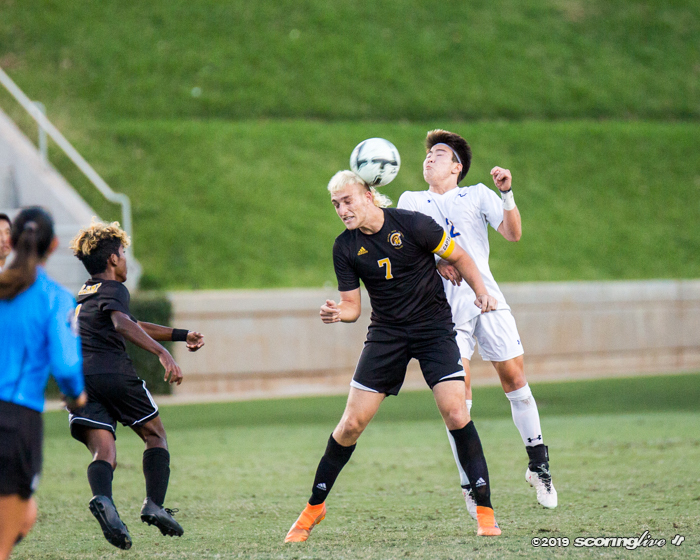 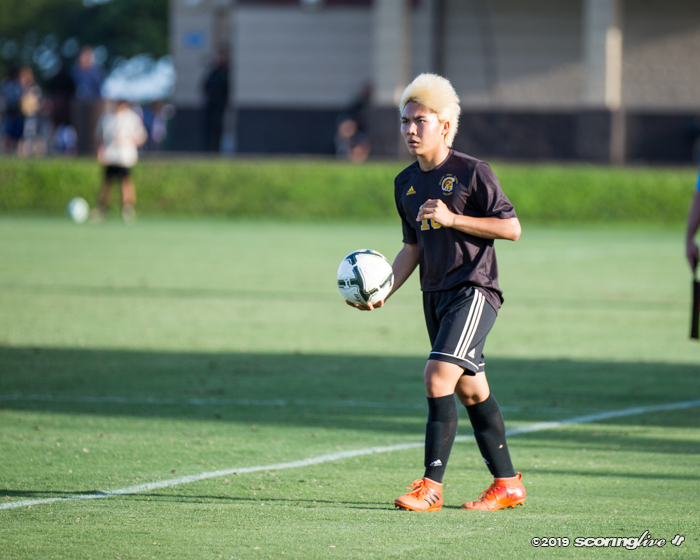 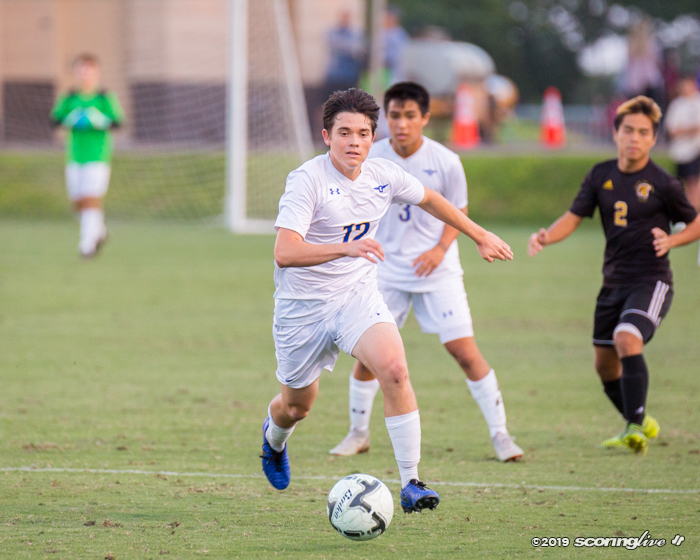 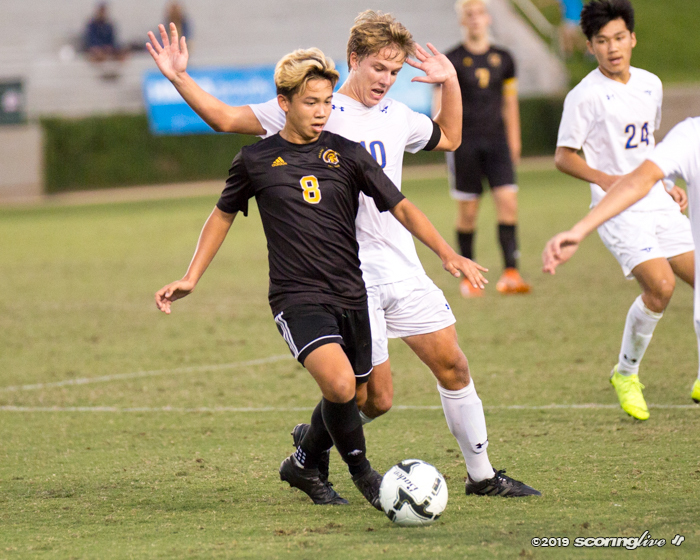 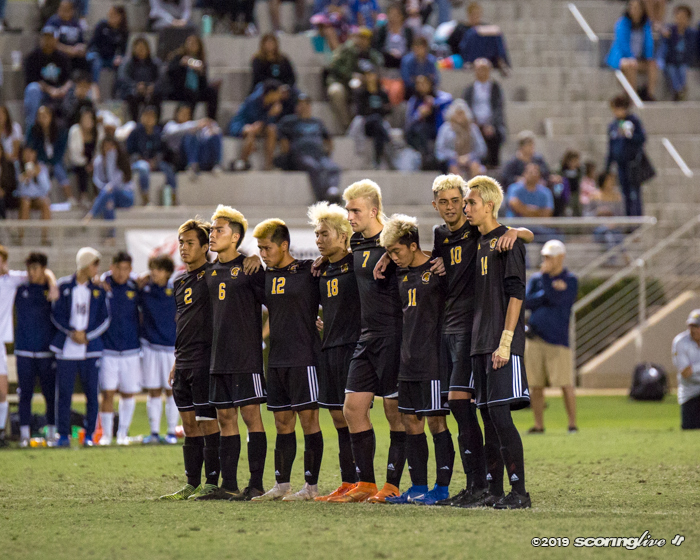 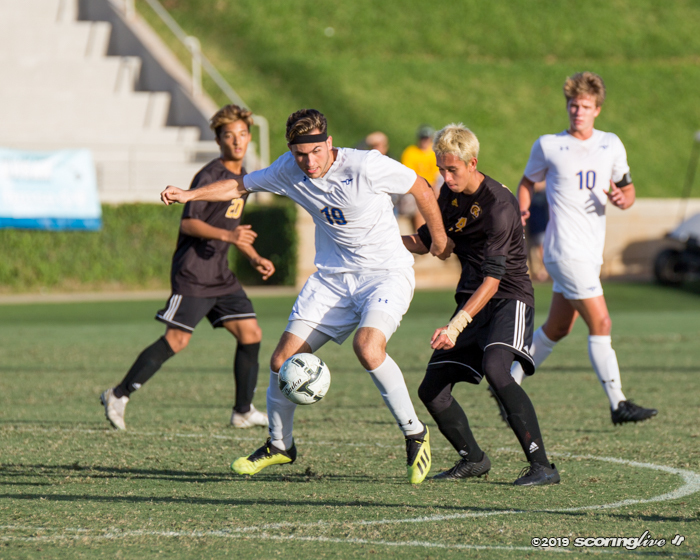 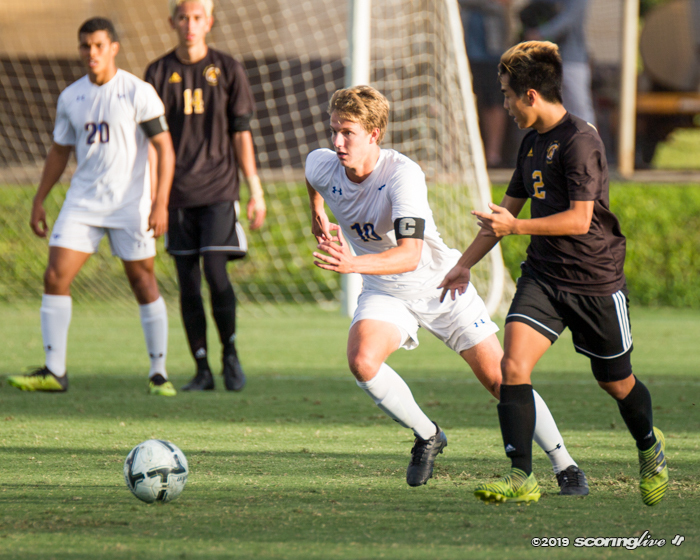 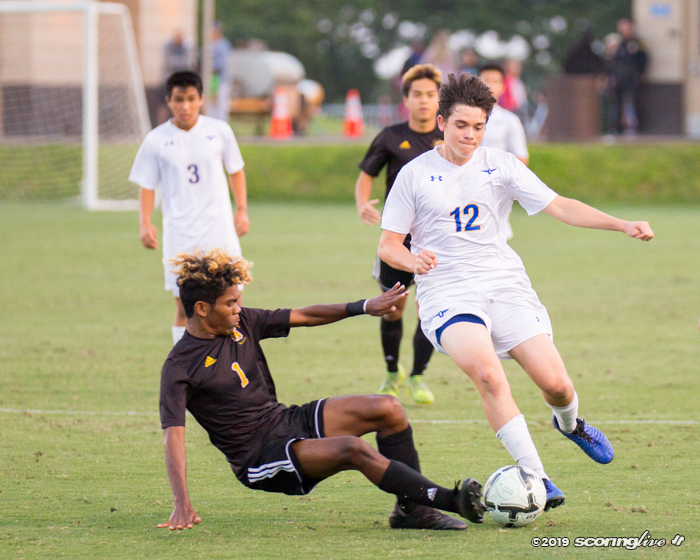 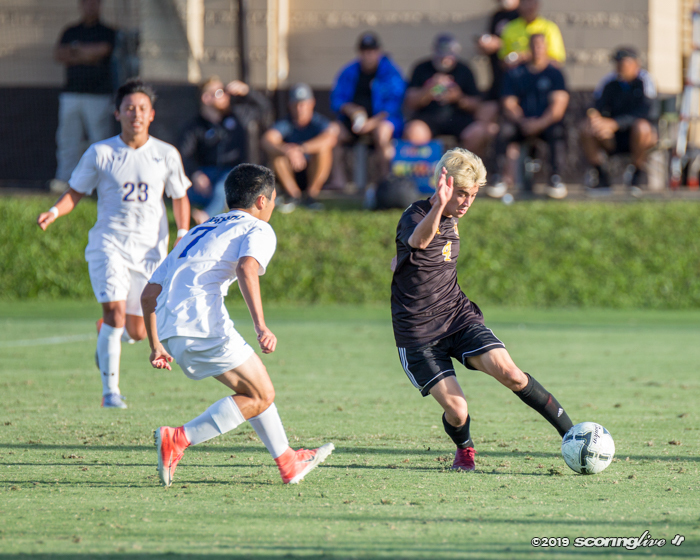 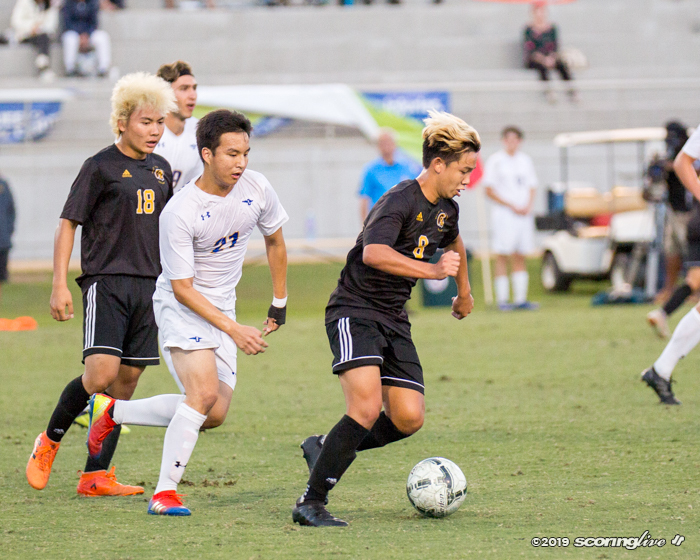 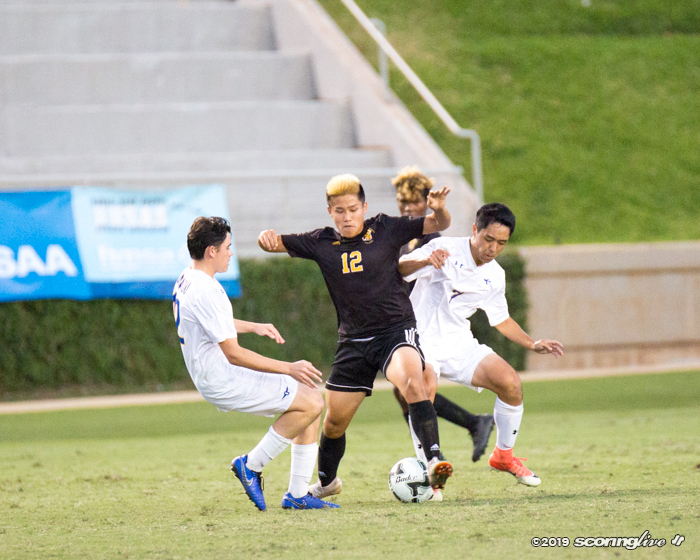 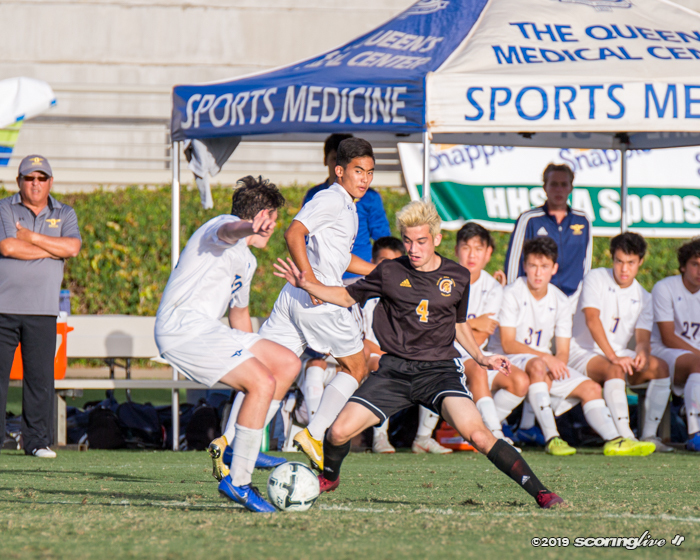 Mililani kept fighting however as two corner kicks by Liam McGehee netted a score by Ayden Lawes in the 46th minute and a header by Kekoa Kuloloia in the 60th minute. 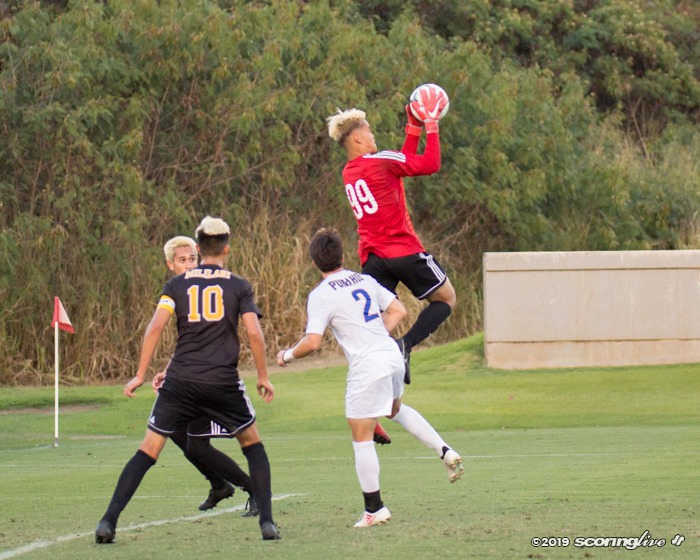 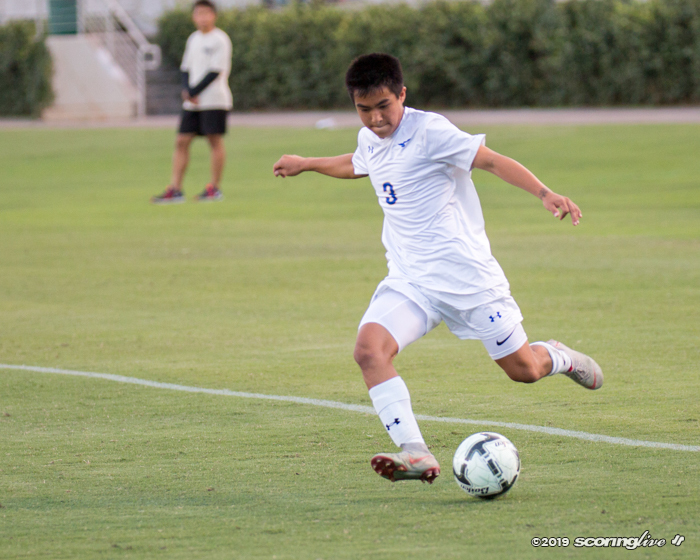 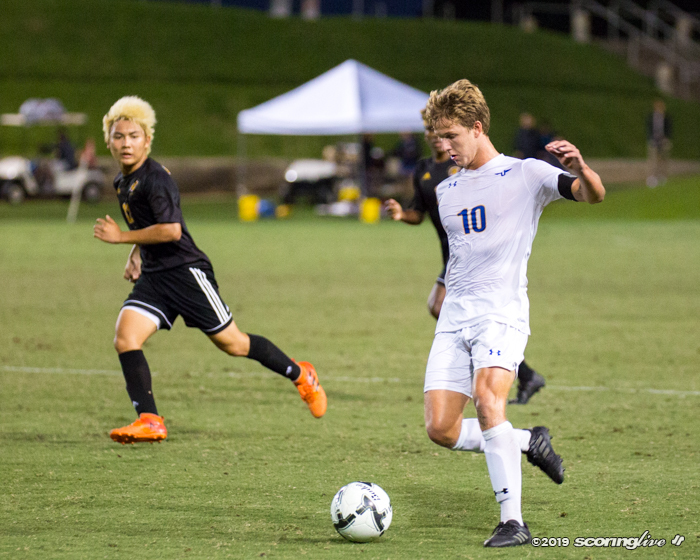 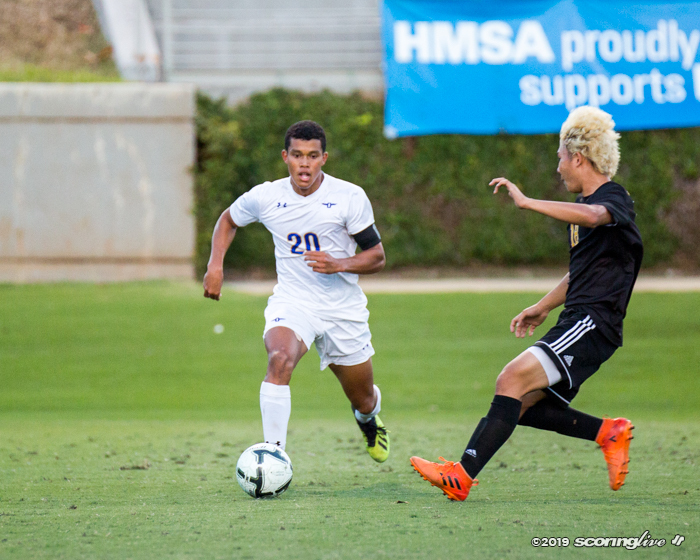 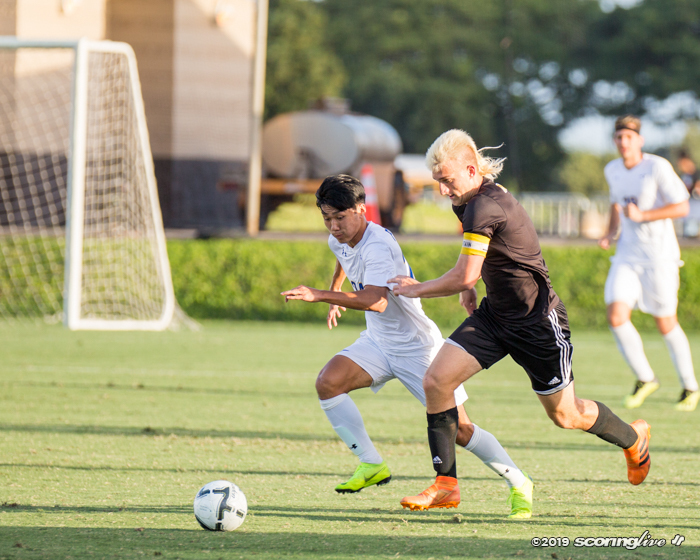 The two teams remained scoreless through regulation and the two overtime periods to send the match to a shootout. 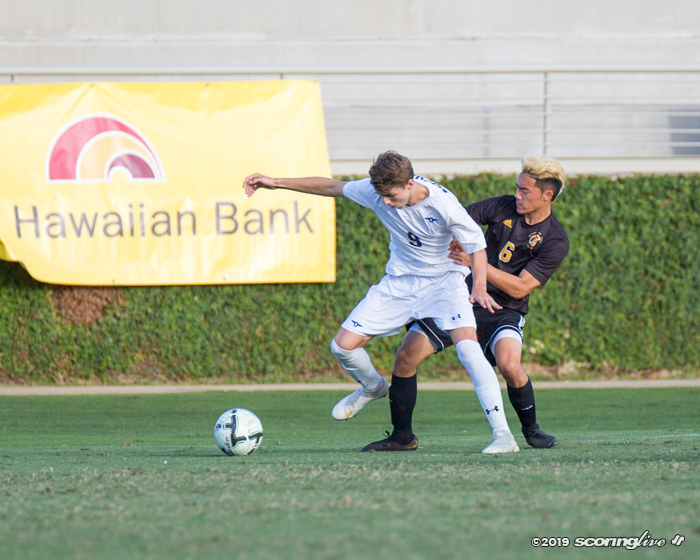 Punahou's first shooter, Matthew Fairfax, put the Buffanblu on the board first with a kick to the right to beat a sliding attempt by Mililani keeper Nicholas Gaston. 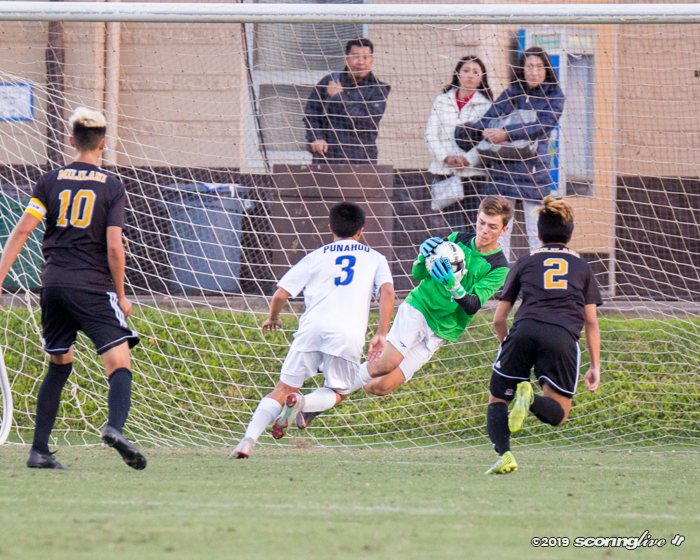 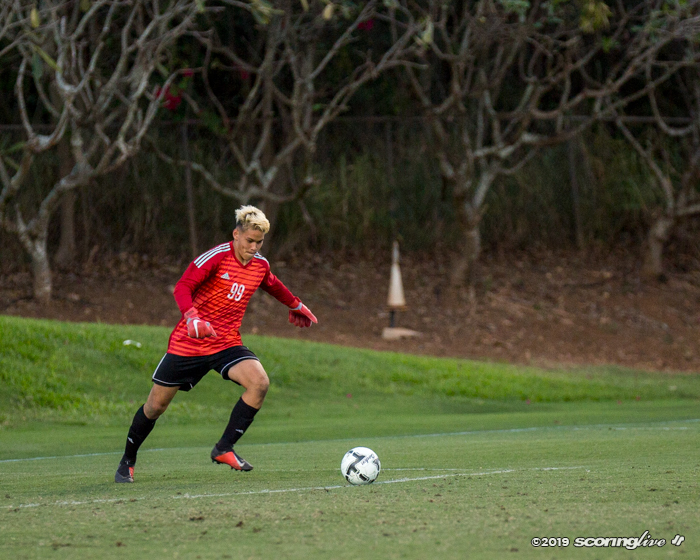 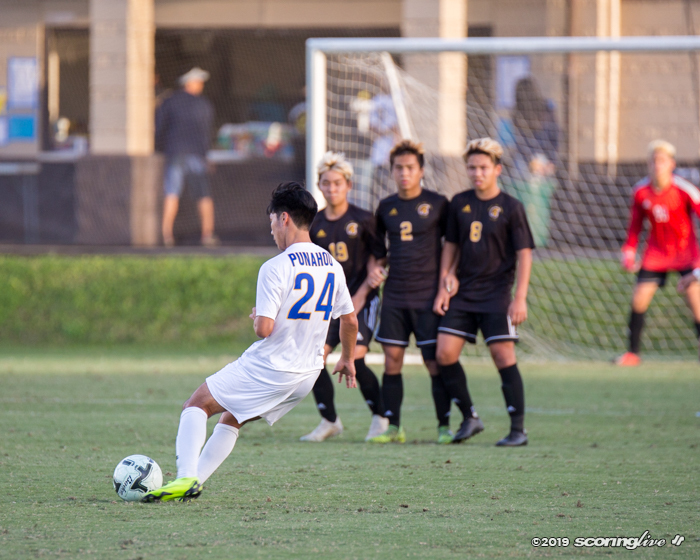 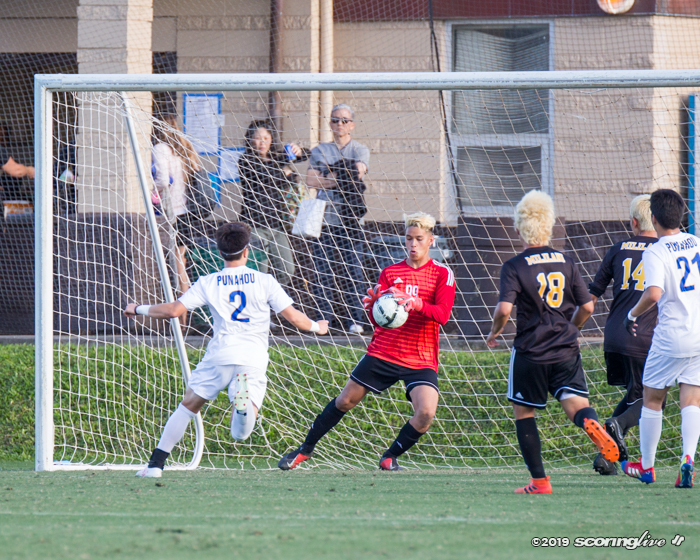 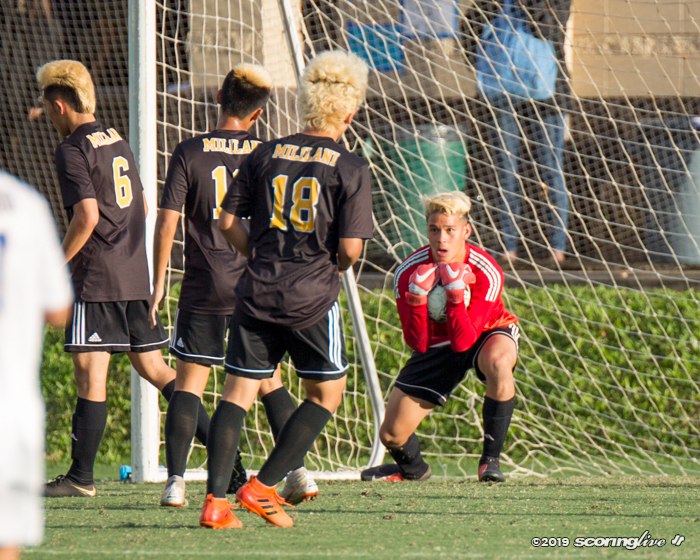 Gaston took his turn to shoot after Fairfax, but his attempt went off the crossbar to leave the advantage with Punahou. 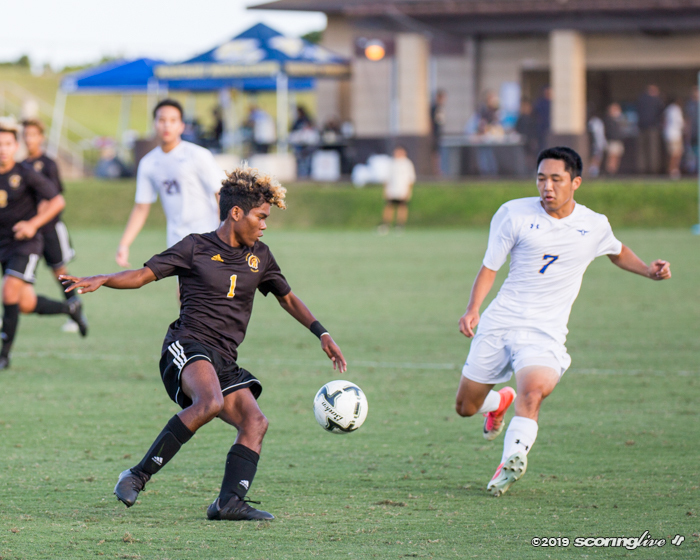 Both teams' shooters converted on all of the following attempts with Micah Williams providing the dagger for the Buffanblu. 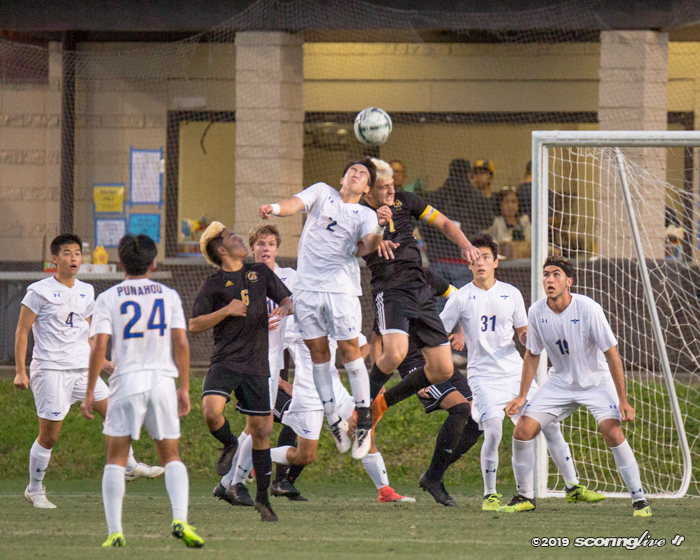 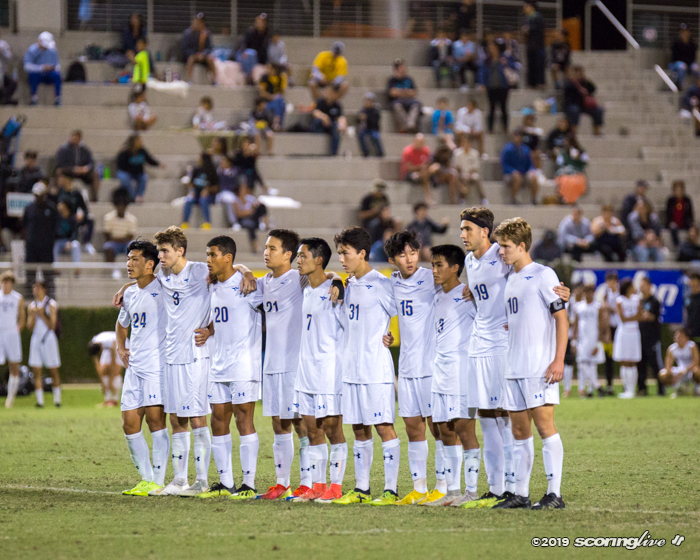 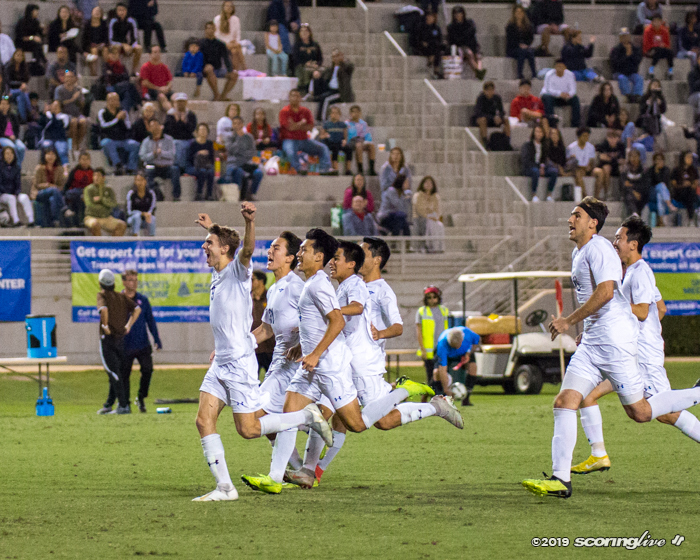 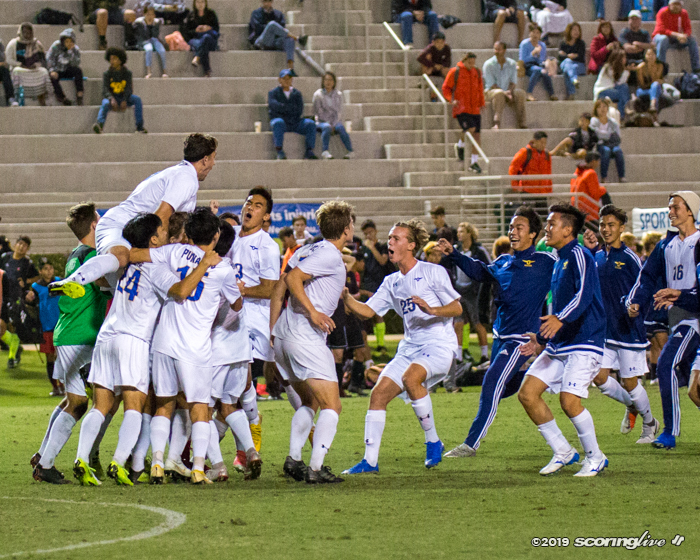 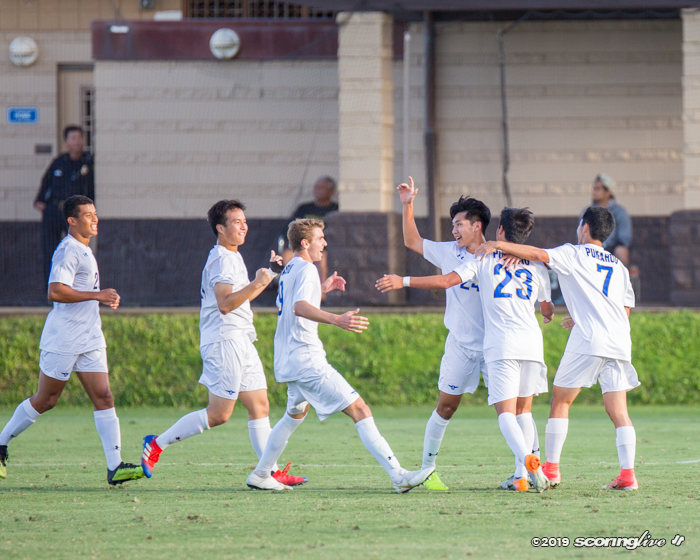 Punahou will face Iolani for the D1 crown Saturday night in a 7:00 p.m. championship match. 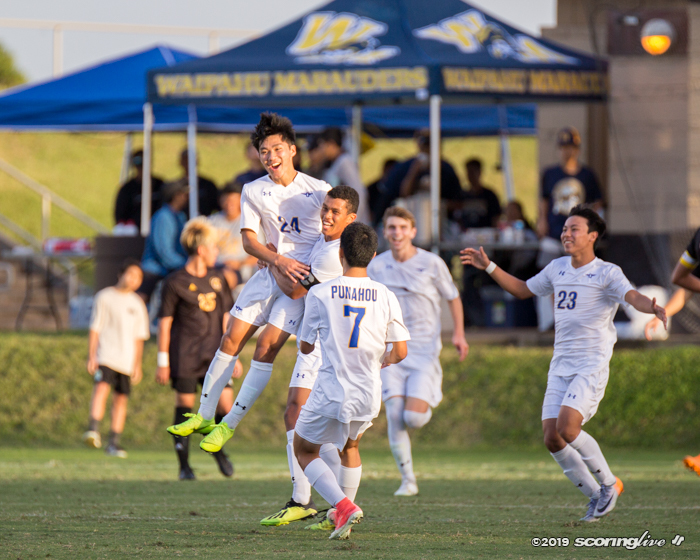 It will be teams' fourth meeting this season, with the Buffanblu currently owning a 2-0-1 record against the Raiders.